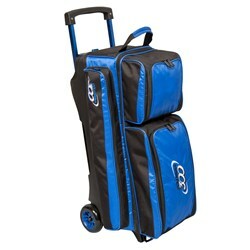 The Columbia Icon Triple Roller bowling bag is symbol of a serious bowler. This bag has several great features like separate shoe and accessory compartments in addition to large accessory pockets along both sides and end pick up handles. 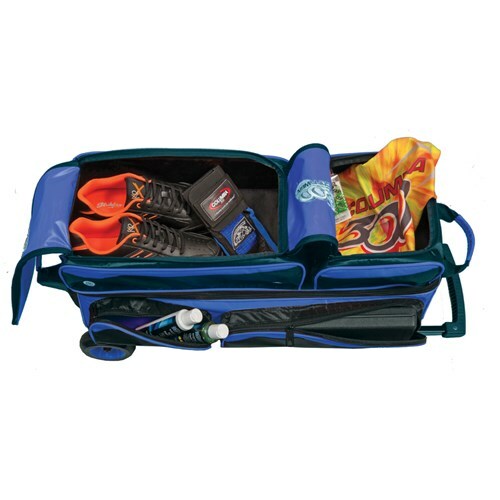 This bag has lots of space to store up to 3 bowling balls, up to size 15 shoes and all the accessories you need. In addition this bag is covered by Columbia's 5 year limited warranty. 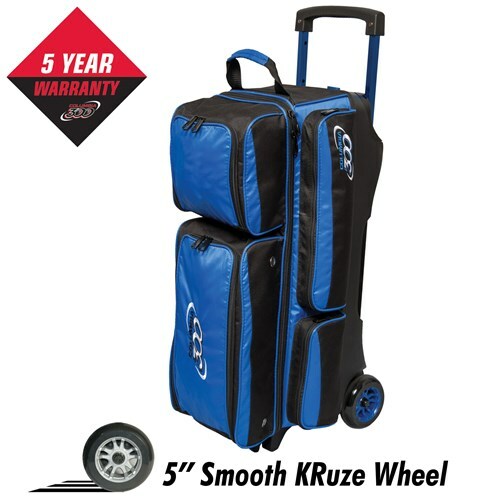 What is the weight of this ball roller? 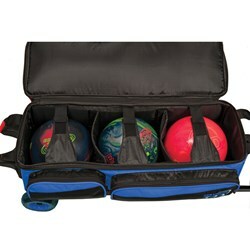 When adding the bowling balls and accessories, this bag will weigh around 47lbs. Due to the time it takes to produce the Columbia Icon 3 Ball Roller Royal ball it will ship in immediately. We cannot ship this ball outside the United States.